The Astrology Institute, based in southern New England, began in 1991 and has certified over 100 graduates in astrology skills and has included a two-year training program in consulting skills for astrologers. We meet the needs of the astrological public through individual consultations, providing ongoing educational opportunities for astrologers, and through research projects within the field of astrology. Joseph Crane, M.A. has been an astrologer, teacher, and writer on astrology since the late 1980’s. Over the years he has combined his knowledge of astrological technique and his counseling experience to work with hundreds of clients and has an active consulting practice. Joseph has also helped professional and aspiring astrologers, individually and in groups, to develop their knowledge and skills. He has taught training programs on astrological technique as well as counseling skills. He has lectured on ancient and modern astrological techniques as well as connecting astrology with works of literature and philosophy. For Kepler College he taught courses in mythology, ancient astrology, and philosophy. 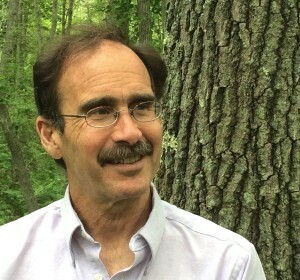 Joseph is the author of A Practical Guide to Traditional Astrology (1997), Astrological Roots: The Hellenistic Legacy (2007), and Between Fortune and Providence: Astrology and the Universe in Dante’s Divine Comedy (2012). He has also written a number of articles in astrological technique, ancient understanding and practice of astrology, and the relationship between astrology and literature. In additional to his astrology work, Joseph is a Neurofeedback clinician and therapist, working with children and adults on attentional and psychological issues. He has a BA in philosophy from Brandeis University and an MA in counseling psychology. He has also received training in gestalt therapy and existential psychotherapy. Joseph has been a Buddhist practitioner since 1980. He lives in southern Rhode Island.